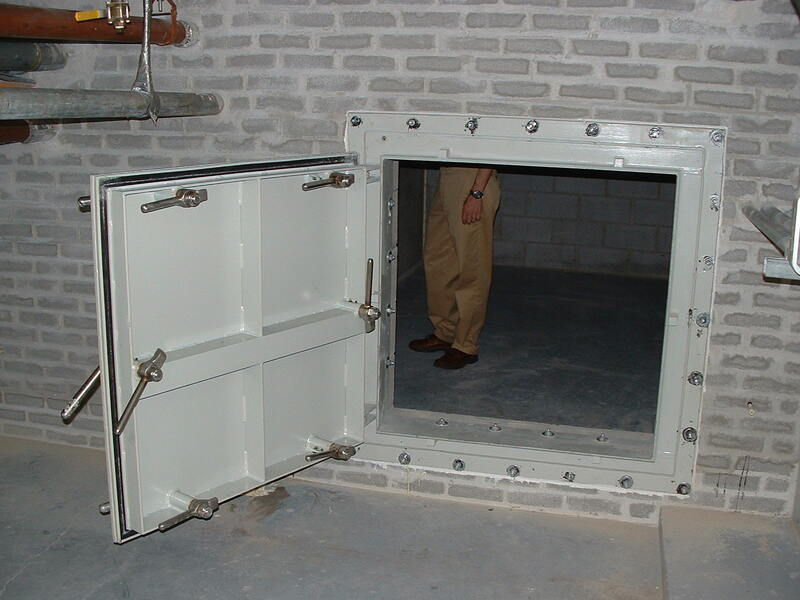 Individually dogged doors offer a simple, reliable, and cost-effective 100% watertight seal ready to offer protection at any time. 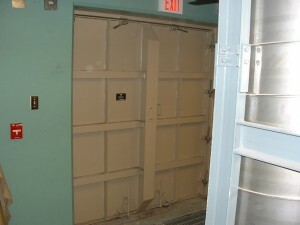 This model door is ideal for locations that do not require frequent access. 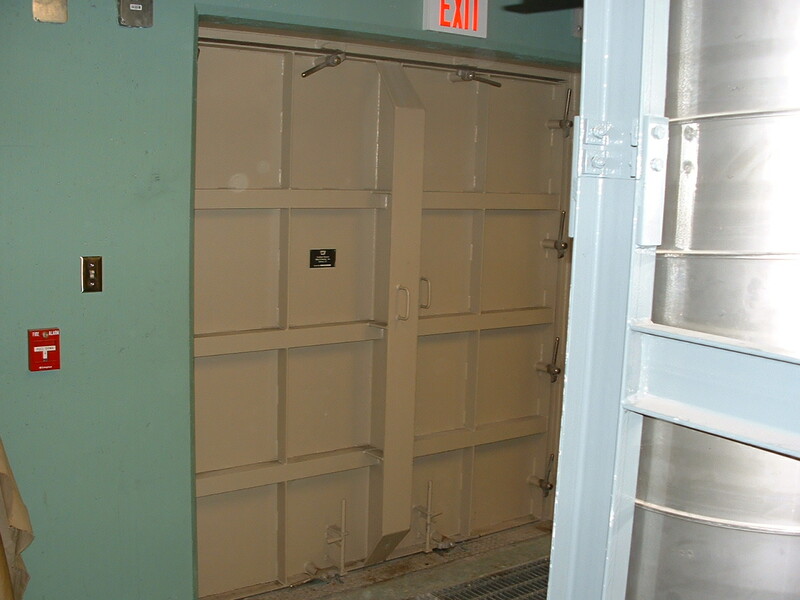 Quick-acting doors (WK Model WT-FD-QA) are usually preferred when faster access is required. 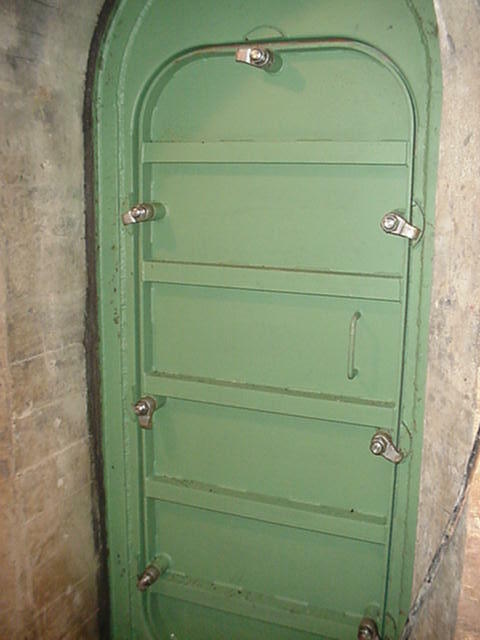 Rotating dogs (latches) are located around the perimeter of the door panel, compressing the gasket against the door frame. 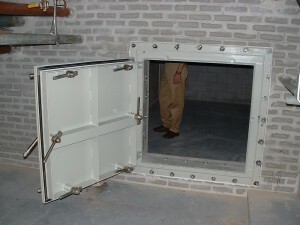 The number and type of dogs are dictated by both the size of the door and the pressure requirement. Each dog can be adjusted in the field to ensure the proper amount of seal compression. 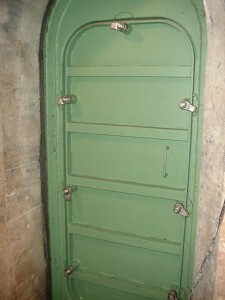 Double panel doors, as well as larger doors with smaller access doors set into the larger panel are available. As with all our products, frames are available for bolting or welding to existing masonry openings or the door can be provided with an integral masonry subframe for embedding in new concrete.